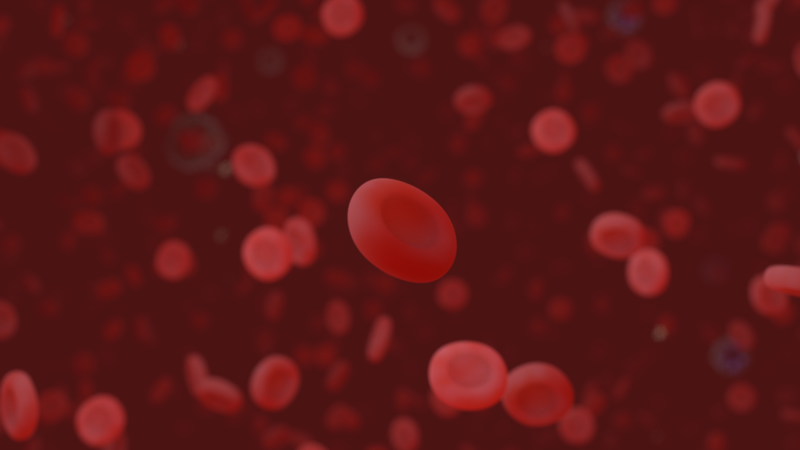 3D Motion Graphics Animation showing the composition of normal human blood. 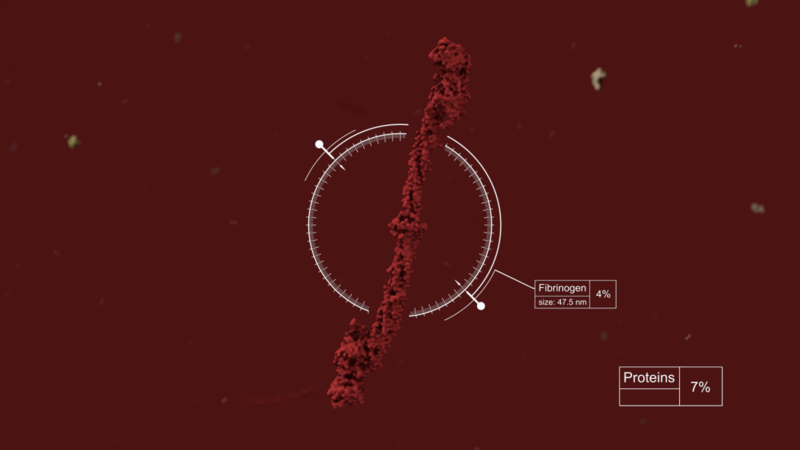 This animation was generated by initially creating the 3D models of each element found in human blood these were modelled using displacement modifiers. 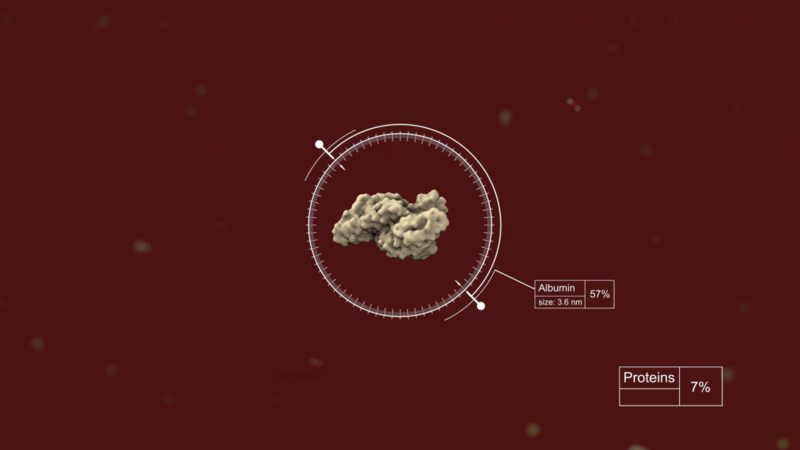 Particle dynamics was use to create a natural motion and interaction between the elements. The Heads Up Display (HUD) layer was created on a separate layer in order to add a focal point for specific information regarding scale and population. 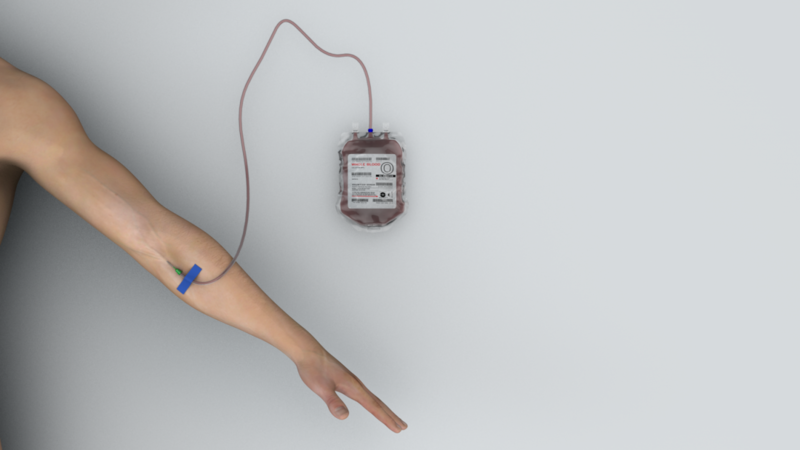 This is a shortened clip from the full 3D motion graphics animation which portrays a donation bag is seen being filled from a donor’s vein, before we zoom into the blood in the bag. Most of the blood is plasma (55%), which is mostly water, along with ions (including sodium and chloride) and sugar (glucose). The plasma also contains proteins, including albumin, globulin, fibrinogen and prothrombin. At a larger scale are the blood cells. By far the most numerous of these are red blood cells (erythrocytes), which make up some 99% of the cells in blood. 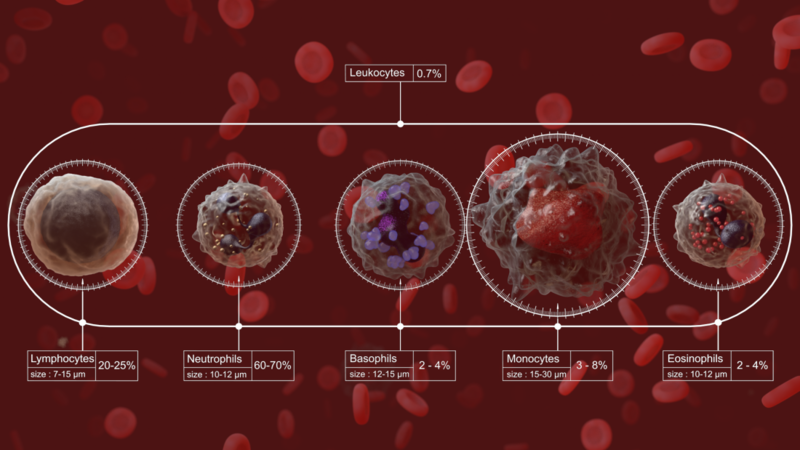 Tiny platelets, which aid clotting, make up less than 0.5% by volume, with the rest of the cells being white blood cells, parts of the immune system that protects the body from pathogens. 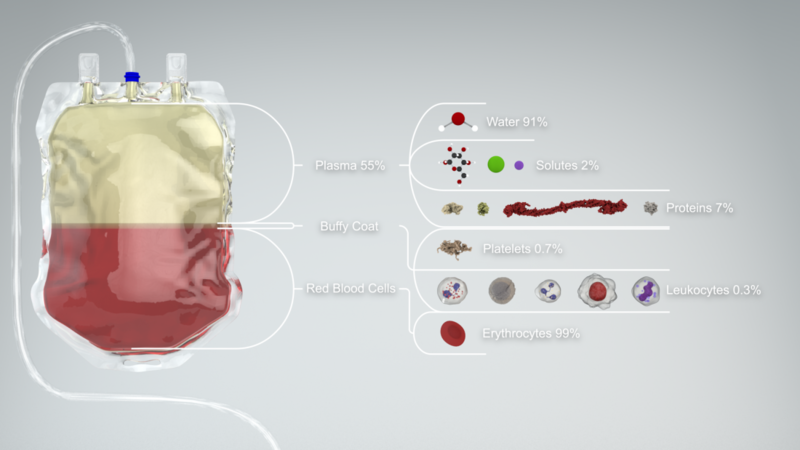 At the end of the 3D motion graphics animation, a blood bags shows the separated components in their proportions.